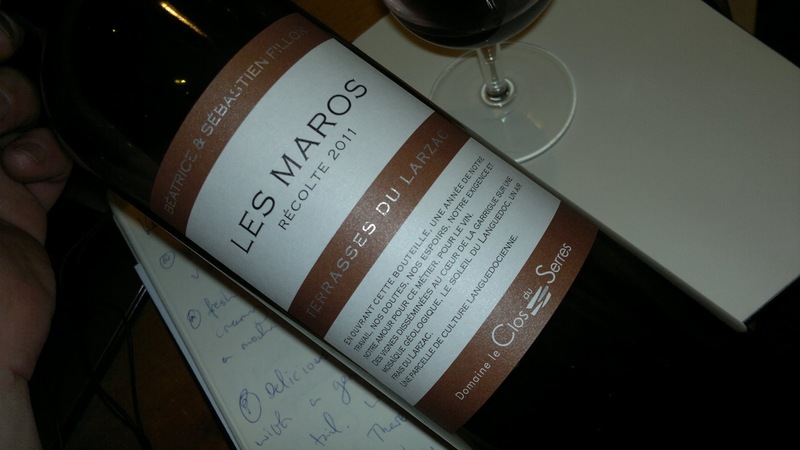 Le Clos du Serres "Les Maros" is 60% Grenache, 20% Syrah, and 20% Carignan, from a single vineyard site on the Terrasses de Larzac, which is a highly regarded sub-zone within Languedoc. The wine is dark, almost purple. The shorthand description of the aroma would be Fruits of the Forest Yoghurt. It tastes lovely. Strawberry, bramble, creamy yoghurt, ultra ripe soft tannins. But the main attraction is its sheer welcoming drinkability. I don't think it's a wine to age, but given its present deliciousness, that really doesn't matter. For another take on this wine, here's my video review. And you can watch Nicolas Mollard of Le Clos du Serres talking about another of their wines, Le Clos, here.